With summer in full swing and the heat upon us Jupiter is still rockin! This is the first time I that I can actually say that the local economy has remained strong during the hot Florida summer months. In years past, I recall walking into local business and restaurants and the owners would complain about the summer time slumps and the lack of customers. Florida real estate and business in general has been know to be very slow in what we call the “OFF SEASON,” which runs from May- November. The South Florida economy had relied on the tourists and snow birds in the past for support in running and growing local area businesses. Knowing that most people leave and go somewhere during the summer business always relied on making their money during the winter and hoping it would carry the rest of the year. The local area, including Jupiter and Tequesta has seen a significant change in population during what we call the off season. This is great news and has gotten me thinking. Why does this year seem so different and what is happening in our area to attract people to hang around when they used to go away to escape the heat or even vacation here instead of other places. Jupiter has become very popular….Jupiter has hit the map! When I was introduced to people in the past and I was asked, where are you from and I would tell them Jupiter, they would reply, were is that, next to Mars? Now when I tell people I am from Jupiter they reply Oh I love Jupiter or Oh I know someone that lives there or I love it there . 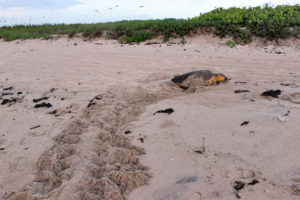 In recent years Jupiter has popped and has become a very special and unique South Florida coastal town. Located in Northern Palm Beach County, Jupiter feels very different than most South Florida towns. Upon your arrival you will immediately notice the small town feel, the sense of community, the natural beauty and incredible waterways and most importantly, the happiness of the people. Recently we have welcomed “HARBORSIDE” our new downtown. A destination to spend an evening or afternoon. Located along the Intracoastal you can arrive by boat as well as by car and enjoy a free concert, green markets, yoga, a wide selection of restuarants, and of course shopping! The local waterways including the Intracoastal. Loxahatchee River, and of course Jupiter Beach are all incredible recreational areas filled with local families (including their dogs). Anchoring at one of our local sandbars, tubing, jet skiing, kite boarding, fishing, snorkeling and diving are a few of the many activities our residents enjoy all year long. Its always simmer in Jupiter!!! 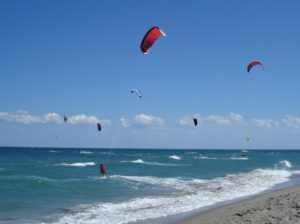 Jupiter is home to many parks and natural areas. 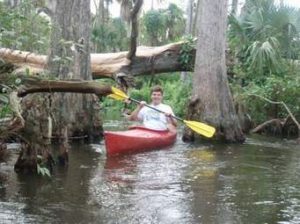 You will always find our local residents enjoying Canoeing in Riverbend Park, Hiking or camping in Jonathon Dickinson State Park, Listening to Shakespeare on the Green in Carlin Park, Swimming in the lagoon or enjoying a picnic at Dubois Park. There are also many playgrounds and natural areas for walking and biking. Believe it or not there are many Cultural Activities and museums as well around the area. The Maltz Jupiter Theatre is a lovely not for profit local theatre with incredible productions and classes. The New Cinepolis Movie Theatre just opened, a state of the art movie theatre that has a lounge and waiter service that serves lunch and dinner in your seat while watching a movie. Palm Beach is just 20 minutes away which makes for a great day of strolling along Worth Avenue, touring the Norton Museum, taking in a show at the Kravis Center and taking advantage of the many great Summer Dinner Specials at world famous restaurants. As you can see there is certainly not a shortage of activities to keep you busy during summer as I only hit a few of them areas most popular amenities. If you wnt to learn about life in Jupiter, get acquainted with the real estate market, get informed about the schools, get a list of golf clubs, restaurants, places to visit we can help! We have lived in Jupiter since 2001 and literally watched this town come alive! We absolutely love living here and would be honored to acquaint you with the area and show you why you will love it too!